You may often hear the advice “cut back on processed food” in the media. While this can be good advice, the definition of “processed” is vague, and many healthy foods that you may include in your diet have gone through some processing. Unless you are picking the apple or bean straight from the tree or vine, it’s likely there is some processing involved. Most busy families can benefit from the convenience that processed foods offer. At my recent Food and Nutrition Conference and Expo I had the opportunity to sample and learn about some new products. I’m sharing some of those with you here, and you can check them out at your local markets and give them a try. But, as with any snack food, portion and frequency apple. Barbara’s High fiber, low sugar, cereals and snacks. 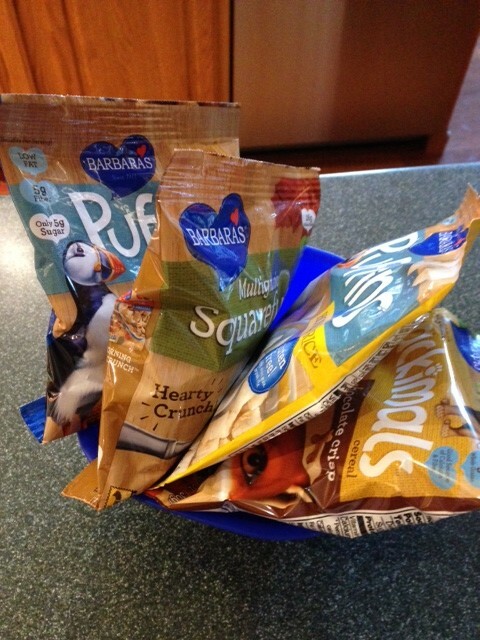 The Original Puffins® was quite tasty and provided 90 calories, ) saturated fat, 2 grams protein, 5 grams of fiber, and 5 grams of sugar. I also tried a calcium supplement in a chew form. If you like the taste of “cake batter” you’ll love the lemon-flavored chew. These were a bit too sweet for me, but they were smooth and not chalky. 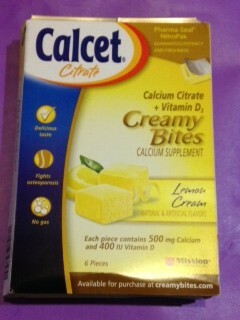 I also tried a calcium supplement (Calcet® Calcium Chews) in a chew form. If you like the taste of “cake batter” you’ll love the lemon-flavored chew. These were a bit too sweet for me, but they were smooth and not chalky. I am a fan of LaraBars® but also tried Zing® bars. For me, Lara wins. 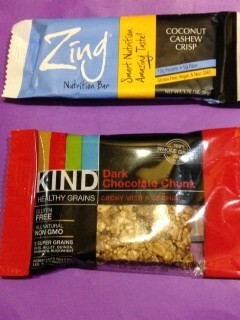 Kind® are very good also, with lots of flavors, and many loaded with heart-healthy nuts. 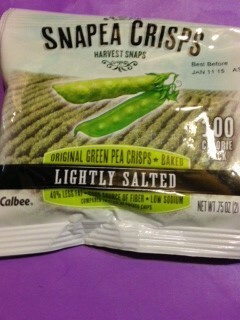 Snapea Crisps. While eating vegetables is the best way to eat vegetables (! ), sometimes we all enjoy a snack food. I loved these crunchy snacks made with actual peas, and provide 3 grams of fiber and 4 grams of protein per 130-calorie ounce. This entry was posted in Food Facts, Just for Fun, Misc and tagged calcium, diet, FNCE, food trends, healthy snacks by Rosanne Rust. Bookmark the permalink.